Relationship– Our relationship with God through Christ is the foremost important thing in our life. Our relationship with God will effect everything else. Leadership– Absolute humility is what should define leadership. The God of our universe humbled himself to the very point of death on the cross to serve us (who are the lowliest of the low). We are to intern, humble ourselves to the point of being a servant to those who don’t deserve it. Discipleship– A significant investment in a specific few. That means even if those few don’t know Christ and may never choose him. Not all of Jesus’s disciples took to his investment……Judas. And many of his disciples didnt come to faith in him until after he died and rose again. 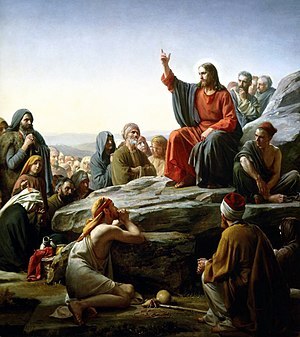 This is how Christ did it and this is how we should do it. This coming thursday (18th) we are going to have a tough questions night. That mean that we are going to have a panel of four pastor from different churches around town. They are going to tackle any questions that you have about God, Jesus, Belief, Following and the Bible. So please come and feel free to ask any question that is from your heart. We are going to have a box and paper for those who want to ask a question anonymously. This will replace our usual meeting. There will still be food and please hang around after for some fellowship. Gary Kopsa- Chaplen for the V.O.A. Hey gang! tomorrow night we are taking a food tour around the churches of sheridan. We will have one course of a meal at each church we visit. We will start with salad and work our way all the way to desert and coffee. Meet at south hall at 6:30 if you want to come along. The goal is that you would be able to know the churches around town and maybe find a good one to plug in to! this is a Legit nite event! Hey Gang, we are visiting the dorms and giving out two free things!!!!! 2.) Free Raffle Ticket to win one of 2 Ipods!!!!!!!!!!!!! We are going to start at south hall @ 6. @ 7:42pm we will have Legit nite as usual only at the end of the night we are going to draw for a Nano Touch and a Shuffle!!!!!!! So come give out candy and hang out because we cant wait to serve and give freely:) Our prayer is that this outreach will raise some interest and excitement about the ministry happening on campus. Hey folks, we have a lot of great things coming up! And there is more to come! Get in on this! Hey Gang, we have had a great couple of weeks! Our first Legit Nite was off the hook (Good). This week we will be discussing the life that we can have in Christ now that we are free because of Christ. We will be in the book of Romans. Story Community is providing us with all sorts of wonderful snacks. Also, This wednesday……tomorrow, @ 7:30am we will be meeting around the flagpole in front of the info desk to pray for Sheridan campus and the world. See you there! P.S. please let us know if you have any ideas or opinions about what we do or can do on and off campus? Over the next two weeks on Wednesdays, we are going with our President Mike Borner to the student senate meetings to be voted in as an official organization. This means that we will be able to meet on the campus and be recognized on the campus as legit. Please be in prayer that the senate sees fit to vote us in, also please pray that God give us the words to describe BCM to the senate. Also, as far as updates go………We Have more Leadership! Aaron Kugler, Carsten Wills, Megan Laffitte, and Stephanie O’Dell have joined the Team! Pray for the leadership and get to know them because they are all really awesome people! Also, we are still taking on leadership so if your interested call me! We are trying to establish our first LEGIT THURSDAY NIGHTS get together for the the 16th at (7:42pm. on the dot) come hang out have some fun and support our grand kick off. News Note: Student Senate meeting went extremely well. We got to meet the great people on the student senate, Tyler, Justin, Quinn, and Tess. They are truly very supportive of what we are doing. We were very blessed to share with the other organization on campus exactly what we are and what we do. God gave the words and the guidance to make good relationships with other organizations such as Habitat for Humanity. Thanks for all the prayer. We found out that we can get a room on campus and next week we will have the vote. 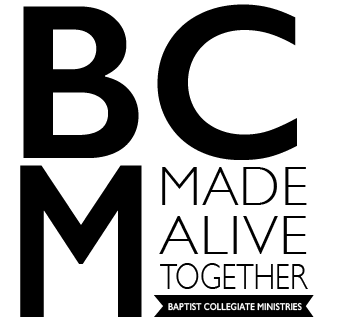 So be in prayer wedneday at 5 that the senate sees BCM as a benefit and a need on campus. Come check out our table at the club Fair! Thursday from 4:30-6:30 on center street. We will have a cool picture survey to do so that we can get to know you the student, better. If you would like to learn how to do solarium cards, we can teach you. If you dont know what that is we will show you. So bring your smile and pray that we get to know some new folks! Thanks! P.S. We have a wonderful new Faculty Advisor! Her name Is Jan Dill, and she is an awesome lady! Thanks Jan.
Move in Day went well! Some looked confused some were nervous……then BCM burst on the scene. We turned confusion to fun and people got that mini fridge all the way up to second floor. It was crazyness. We are still waiting for sept. 8th to be a recognized organization so keep us in prayer on that day! Also, the work is plenty and the workers are few……..what does this mean Shane? It means that there is a BCM ministry that has your name on it! Get involved by contacting Me. Got your Phone?………..Get it out and txt “BCMofSC” to 50500. Now you have no excuse for not contacting me. God Bless and see you on campus! We are currently looking for a faculty advisor and waiting for the first student senate meeting to become an official organization on campus. The senate is meeting Sept. 8th so be in prayer that we get accepted. Our leadership team has been assembled. They are Mike Borner as president, Micah Trampe, and Hannah Eldridge. We are still taking on leadership to fill many different positions! Please see Shane or Becky for details.